Developing an online site on Magento is always a good start for those who are new into the eCommerce web development. It a persuasive content management platform that comes with a complete range of eCommerce- driven features, functions and other essential capabilities to help you create a top-notch e-store for your business from scratch. Thanks to all the Magento themes and extensions that makes it super easy to build a professional looking web store for improved revenues. No matter what you are selling or promoting, make sure you focus your interest on marketing your site effectively on diverse web channels. Expand your customer’s reach and grow your online business by planning and executing a success marketing campaign – it can be social marketing or an email marketing. Whatever you choose, just ensure that you use the right technique and positive approach. Fortunately, Magento offers a whole slew of impressive marketing extensions that will help you promote your web business across the web. Even, this can help you turn up your conversion rates as well as revenues. Below are the seven most compelling marketing extensions that will multiply your customer’s reach and give you more exposure for further growth. Growing a customer or subscriber’s list via effective email marketing is one of the best techniques till now. You can convey your business goals/messages to your potential web customers by sending professional-looking and engaging newsletters. 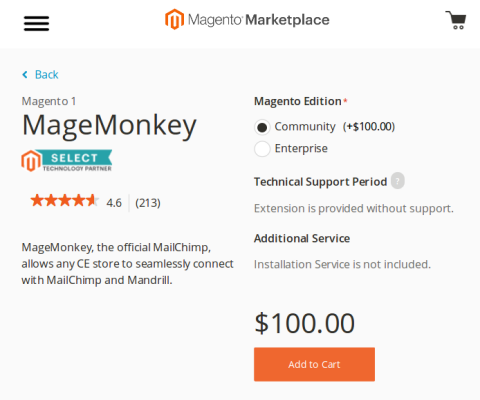 Well, you can do this easily by installing a MageMonkey extension to your Magento store. It is an incredible Magento extension that lets you integrate with MailChimp, one of the most dominating Email Marketing platforms on the web. The extension can take your email marketing campaign to the new heights of success by enabling you to integrate with MailChimp and Mandrill extensions. All you need to do is to connect your e-store to your MailChimp account and start organizing your subscribers on the fly. Use a simple and intuitive configuration tool to create your own field of mapping – this will grow your email lists segmentation. Market your eCommerce site effectively by using Bronto Magento extension. It is an excellent tool that helps you generate more sales by creating well-planned lifecycle marketing campaigns to boost your conversion rates. This technique will encourage customers to buy from your store over and over again. The extension allows you to create determined email marketing campaigns using customer’s past purchasing information. This will help you give personalized shopping experience to your real-time web customers, which lead to increased conversions and higher revenues. Plus, it uses RFM metrics (Recency, Frequency, and Monetary Value) or previous purchases details in order to send highly targeted emails to their subscribers. 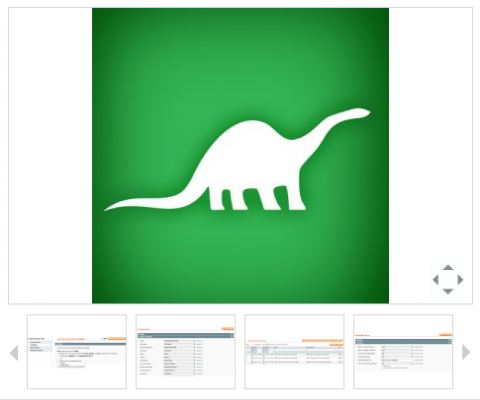 Use Bronto to add product recommendations into transactional emails, wish list prompts, product review requests, and also send abandoned cart reminders to keep stimulating your existing web customers for another visit on your store. Accelerate your digital marketing campaign by optimizing your web store for higher ranking on search engine platforms, such as Google, Bing, and Yahoo. 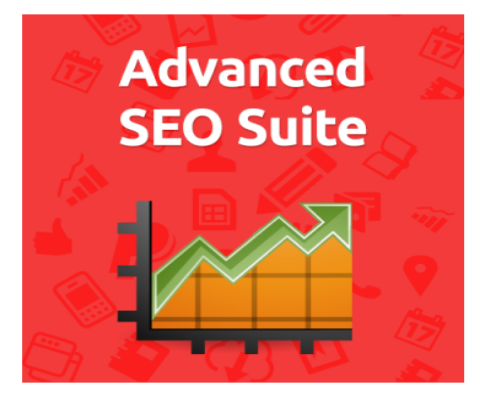 Advanced SEO Suite is a great extension offering a whole slew of SEO features to let you enhance your Magento store visibility on popular search engines. Optimizing the specific categories, product pages, product groups for particular search terms on a template becomes super easy with this extension. You can setup the Meta tags, H1 heading, keyword friendly meta description for categories, and products on the template, customize the Robots Meta tags, and the Canonical URL using Advanced SEO Suite. You can even set the single product URL for your e-store to boost the web presence of your site for both the web customers and search engines. Creating professional-looking transaction’s email can help you build a long-lasting relationship with your existing web customers. Instead of using conventional design, you can use receipts and another form of transactional emails such as orders or registrations for better outcomes. 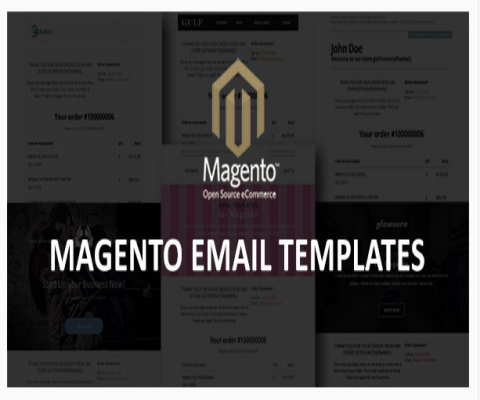 Magento Email Templates is an incredible extension that can help you fulfill long-term business goals with ease. It allows you to customize all the transactional emails that you will send to your potential customers via your Magento store. Convey your message or information in the most engaging and effective way and get a higher level of customer retention. It is a fully responsive extension that comes with a plenty of customization options to let you tweak the colors, fonts, texts, images and other aspects of your transactional emails in a matter of few minutes. 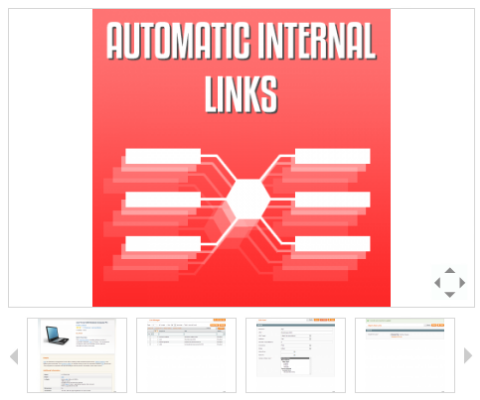 An internal linking is one of the best techniques that allows you to tell Google and web visitors about other key pages of your site. They are the links on a post going to other specific pages within your web store. These links encourage search engine bots to consider those pages while reading and indexing a site for search engine result pages. This means internal linking can take your Magento marketing efforts to the next level for better ranking and higher sales. With the help of Automatic Internal Links, you can automatically create links by linking keywords and targeted search terms to the promoted web store pages. The extension helps you create multiple keywords and automatically connect them with any links to boost your search engine ranking. Even, you can set the attribute target, such as the link will open in a new window, and attribute nofollow for the link using this powerful tool. The best part is that you don’t need to create links all the time whenever you publish a new post, the extension will automatically do it by creating anchor text links for your Magento store. You just need to embed additional keywords and URL if you want to achieve the best possible results. Grow your customer’s reach by marketing the content (be it a blog post, article, product images, etc) of your Magento store on different web channels and social media platforms. Devote your time in executing a robust content marketing campaign for your web store – this will not only improve customer retention rate but also encourage new visitors to visit your site. 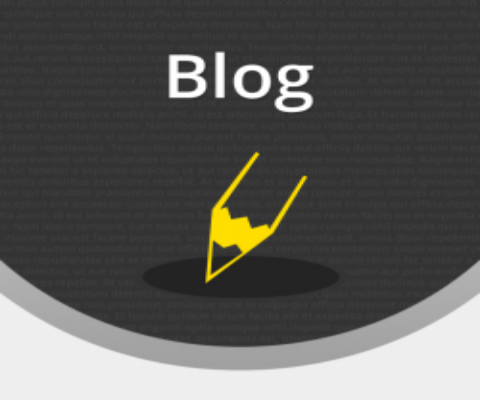 The Blog extension can help you create beautiful, informative and user-centric posts to let you promote your store across the web. The extension comes with a ton of exciting features to let you set up a solid communication platform to convey official information regarding discount alerts, the arrival of a new product(s), promotions, etc to the regular customers as well as new visitors. It is always good to integrate a tool that can help you keep a close eye on all the marketing efforts you made for your web store. 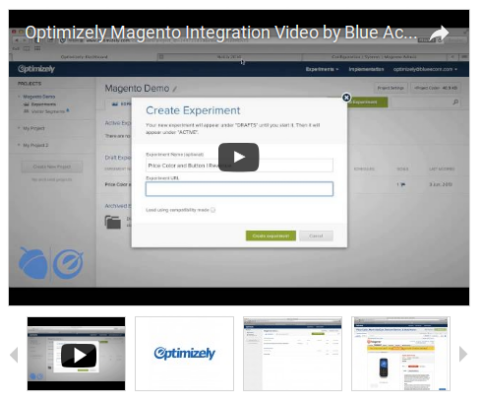 Optimizely is an undeniable extension that lets you track the conversions, use engagement, clicks, signups, and a lot more of your Magento store. It comes with a custom goal tracking functionality that offers an unlimited number of measurable actions to help you gauge the performance of your marketing efforts on the fly. You just need to tell what to measure and the Optimizely automatically do it for you. The extension inserts the script in the header page to stop any sort of interference with Google Analytics. Plus, it is easy to install module that allows you to track the revenues of your web business and grow the customer’s reach quickly and efficiently. These are the seven most prevailing Marketing extensions that will take the visibility, SEO ranking, and usability of the Magento store to the new heights of success. All the extensions mentioned above in this post vary from each other and offer distinctive marketing features. So, make sure you pick out the most compelling extension(s) depending upon your digital marketing goals. Guest Author:Linda Wester is a web enthusiast who has extensive experience in building highly custom websites for businesses. She is a lover of all things related web development and sharing her knowledge with others through her articles. If you are about Hire Magento Geeks or to gain her in-depth experience connect her on twitter. How to Monetize Your Idea Through Mobile Application? How Can You AMP Up Your IPL Experience With Dream11? How Did Netflix Become Successful?